It is not easy to achieve the goals you set. This is why it is incredibly important to be able to stay motivated to get what you want in the long term. In today’s hectic world, it can be even more challenging to stay focused on reaching your goals. 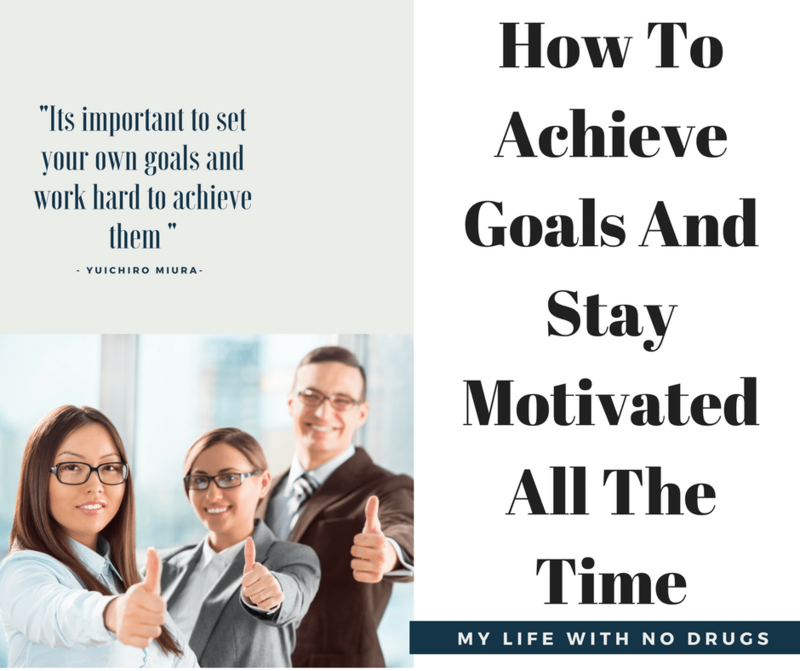 If you are looking for things you can do to help you stay motivated and how to achieve goals here are several tips to consider. One of the most significant challenges in how to achieve goals and staying motivated is making sure that the goals you’ve set for yourself are ones that you truly want to attain. Often our goals are reflections of what others think we should do, rather than what we truly want to achieve. Make sure you are setting goals for things that make you happy and are ones that you want to accomplish. It is essential to visualize the results you want to stay motivated and learn how to achieve goals. When you visualize the results, you want to think about how it will feel to reach your goals and what it will look like when you finally achieve them. Visualizing your goals will be what keeps you going through setbacks and challenges. Surrounding yourself with positive thinkers who emanate positive energy is essential to staying motivated and learn how to achieve goals. Humans give and receive energy and inspiration, by surrounding yourself with the positive energy of others you will ensure you are receiving more than you are handing out. Not only should you organize and declutter your environment, but you should take time to organize your thoughts as well. Having an unorganized mind and environment will quickly zap your motivation and energy. Begin creating a to-do list to keep your thoughts organized and schedule specific times to complete each task. Vision boards are one of the most valuable tools you can use to visualize and achieve your life’s most significant goals. The inspirational collages serve as an image of your future. When you represent your goals with pictures and images, you are stimulating and strengthening your emotional connection to your goal. Keep your goals at the forefront of your thoughts so that you are always searching for opportunities to help you move closer to reaching them. Here is a simple process for making an empowering vision board help you realize your goals. Create a list of goals you want to achieve. You have to know what your goals are before you can begin to visualize them. Spend some time getting clear on exactly what you want in your life. Gather old magazines with beautiful pictures. If you don’t read magazines or don’t have any in your house, you can see if your friends or family having any they are willing to part with. Find pictures that represent your goals and that inspire you. Flip through the magazines that you’ve gathered and cut out any images that you come across that represent the goals you’ve set and those that you have an emotional connection to. As you look at the photos, look for those that immediately make a connection with you and that makes you say, “That’s what I want in my life.” The pictures don’t have to be of objects or literal interpretations of what you want, but should be ones that make you feel a certain way. Make a collage out of the pictures you’ve gathered. Take a large poster board or piece of construction paper and begin attaching the images with tape or glue. They don’t have to be in any order, just make sure the arrangement is visually pleasing to you. Add motivational phrases and affirmation words that represent how you feel. The vision you have for your ideal life should be focused on the stuff you want as much as how you want your life to feel. Add words to your vision board that describes how you want to feel daily. Take a few moments every day to contemplate your vision board. It is essential to place your vision board in a place where you can see it every day. Creating a vision board that represents what you want most from your life is an important step for achieving your goals. Vision boards are simple to create and can greatly improve your chances of achieving your goals. Staying motivated to reach your goals is something that you can accomplish. 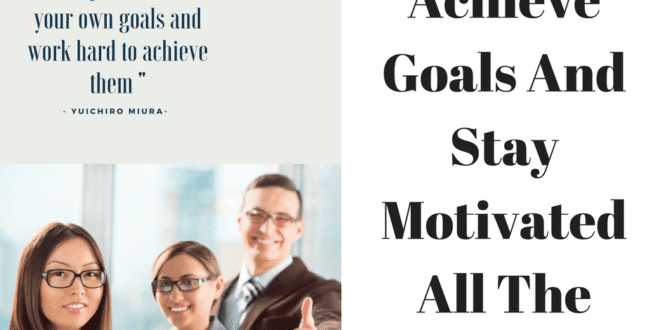 Following these tips and keeping your end goal in mind will keep you excited and motivated and allow you to achieve anything you want. Next article Drug use during pregnancy: How to avoid problems? !